Planned Parenthood had nothing to worry about from the New York Times, a Washington Free Beacon analysis has found. 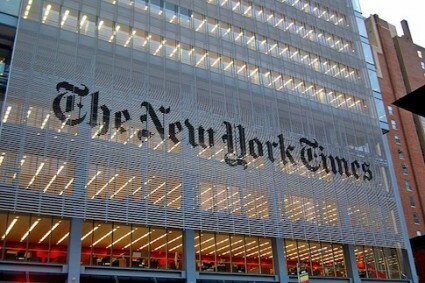 A top executive at Planned Parenthood was caught on video saying that one of the fears the organization had about openly selling fetal tissue from abortions was the fallout that would result from the "New York Times headline" once the news came out. So what did those headlines look like? Well, the first story appearing in the Times, by reporter Jackie Calmes, on the undercover videos revealing Planned Parenthood involvement in the controversial practice had a fair, but certainly not damaging headline. Calmes wrote again just days later, revealing that Planned Parenthood had apologized for the "lack of compassion" shown by executives in the video. In the weeks to follow, more videos implicating Planned Parenthood were released, but aside from this piece from Ross Douthat, the headlines became less and less damaging. In case those abortion rights supporters needed a reminder about how to defend selling fetal tissue, the Times re-wrote its article from July 30. Then the Times offered support to the theory that everything bad about Planned Parenthood in the videos should be ignored because the video was edited. The coverage culminated this weekend, with full-blown support and admiration by the Times for Planned Parenthood and all the other heroes that sell fetal tissue. Clearly, VanDerhai needn’t have ever worried about Planned Parenthood getting bad headlines from the New York Times.